Everyone told me my wedding week would fly by, and to try to savor it, because afterward it would be hard to remember the details. Hosting a retreat for 300 Ndoto students two days before the wedding, an Ndoto sponsor/student lunch for 50 one day before the wedding, and a rehearsal dinner for 80 the night before the wedding, all led to the joyous blur of the weekend. My new husband – our pastor – and I also had to be at church the next morning as we had more than 20 visitors from abroad to host. Exhausted and overjoyed, I dragged myself to church just as the service began. Half way through, I could see activity out the window and decided to investigate. I found one of our young Ndoto ladies sitting on the ground with her head between her knees. I asked the girl, whom I recognized as Phanice, if she was ok, and she said she had a terrible headache. I got a pain killer, water, and a chair and brought them to her. We propped her up against the building in the shade so she could enjoy the breeze. As the service was ending, I went to check on Phanice and found she had fallen out of the chair. I called over Dr. Emily Sloan, a US pediatrician and one of our board members. People gathered and prayed fervently for Phanice. Dr. Emily felt that it didn’t appear to be the flu or malaria, the most common causes for headache and fever. Phanice was vomiting at this point and seemed to be in and out of consciousness. Emily suggested we rush her to the hospital. Joshua, one of our staff members, and some young men carried her to his tuk tuk. Another called her parents and told them to meet us at the ER. My new husband and I decided that he should stay with the visitors and I would go to the hospital with Dr. Emily. Once there, the doctors struggled to even get her to wake up. Numerous tests proved inconclusive. However, her parents had come to take over and were seeing to it that she was getting care. At Ndoto we always empower the parents to lead in these types of situations. Over the next days, after being admitted to the hospital, it was clear there were big problems. Her vision was blurry, her head ached constantly, she was losing her memory and speech, and was in and out of consciousness. Less than 48 hours after that church service, Dr. Emily left for home in the US and Michael and I were off on our honeymoon. Phanice’s parents were doing all they could and the Ndoto staff assured us they would check to make sure she was getting proper care. Phanice in 2012 when she was accepted into Ndoto. 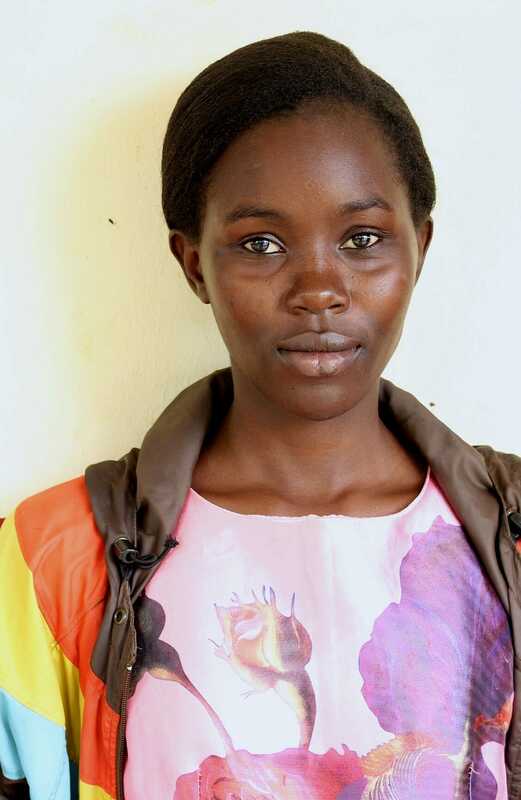 Nobody could have known that without Ndoto, she may not have survived to finish high school. Few hospitals offered the needed test, so we frantically called every facility in our city until we finally found one. The results showed she had been born with a brain defect known as an arteriovenous malformation (AVM), and she had indeed had an intraventricular hemorrhage (IVH). What ensued felt like madness. No one could agree on what to do. Some doctors said she should try to have surgery to repair it. Some said such surgery deep in her brain would be too risky and hoped medication would be enough. Most agreed that if not dealt with, this problem would manifest itself in strokes throughout her life. Dr. Emily did research from the US. The staff, Phanice’s dad, and I all went searching. How many neurosurgeons are there in Kenya? Where are they located? Will they do the surgery? Will she survive? What happens if they all refuse? These were some of what felt like a million questions we grappled with daily. Finally our search narrowed down to two hospitals, both hours away from Kisumu. One was an American missionary doctor working at a mission hospital. The other was one of Kenya’s most reputable neurosurgeons. Through connections, favors, and downright stubbornness, we were able to talk to both. Their responses couldn’t have been more different. The American said he thought it could be done, but he needed to see a clearer scan. The Kenyan refused and said it was too risky and that medication over time was her best bet. Phanice and her family had a decision to make. Which route would they go? The missionary doctor, Dr. Copeland, said that if the surgery wasn’t done, future strokes could cost her her vision, speech, memory, or even her life. He acknowledged the surgery was risky, but fully believed it was the way to go. Dr. Emily helped explain all the medical terminology in layman’s terms. I would talk to Dr. Copeland, then explain it to my husband using Dr. Emily’s help. Then, he would translate it phrase by phrase for Phanice’s father, Andrew, who didn’t speak English. This happened evening after evening around our dinner table making sure he fully understood everything. After agonizing days of thinking, praying, researching, and asking more questions, Phanice’s family decided to go ahead with the surgery. In between were countless doctor appointments, 4 hour drives for tests, and sacrifices of time, money, and energy by countless people. The date for surgery was set. A fundraising plea had raised $2,678 from 12 donors, so the cost would be covered. The family traveled 4 hours to the mission hospital, had an appointment with the surgeon, and Phanice was admitted to a room. The surgery would take almost all day. I can only imagine how her loving father and other family members must have paced that waiting room. When the surgery should have been over, I didn’t hear from Andrew, so I called. Phanice was still in the operating room. An hour later, the same thing. Then another hour. The stress and concern was palpable, even over the phone. Finally, he called me back with good news. It was a difficult process, but all went well, the surgery had been successful, and Phanice was in recovery. She improved daily until she was released about a week later to come home. In the days that followed, we watched miracle after miracle. Nearly all of the symptoms and side effects seemed to fade away. Her speech returned to normal. Her short-term memory came back. Headaches ceased, and her smile returned. We began to hear talk of going back to school. Other than some double vision, she looked and felt like herself again. Her one-month check up with the neurosurgeon surprised even the Mayo Clinic-educated doctor. She was doing remarkably well. 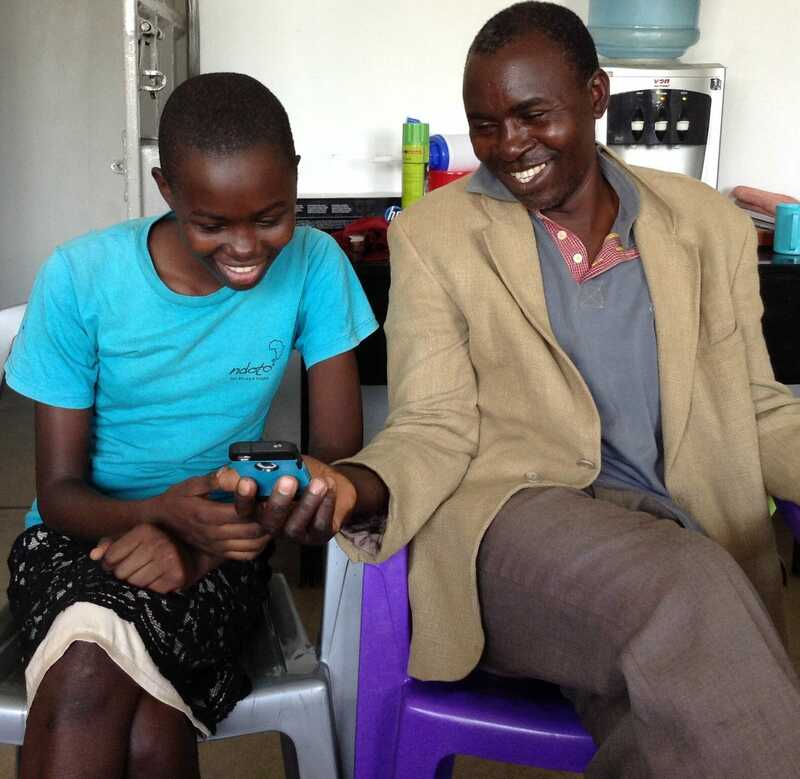 Phanice and her father, Andrew, stopping by the office to show off her scar and tell her story. 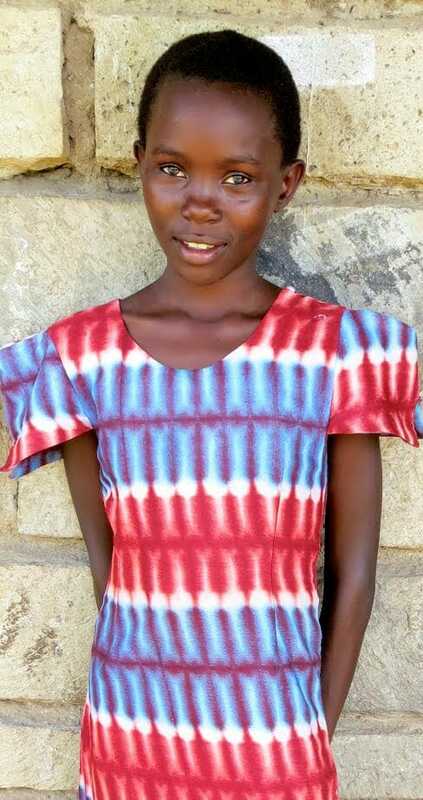 At the end of August, Phanice reported back to school after missing 3 full months. She is overjoyed, ready for the challenge of catching up, and is returning to life as a junior in high school. While her vision today still isn’t 100%, it is slowly improving. I remember one Sunday after surgery, she came and gave me a big hug after church. She grinned ear to ear as she showed us her scar and recounted her progress. 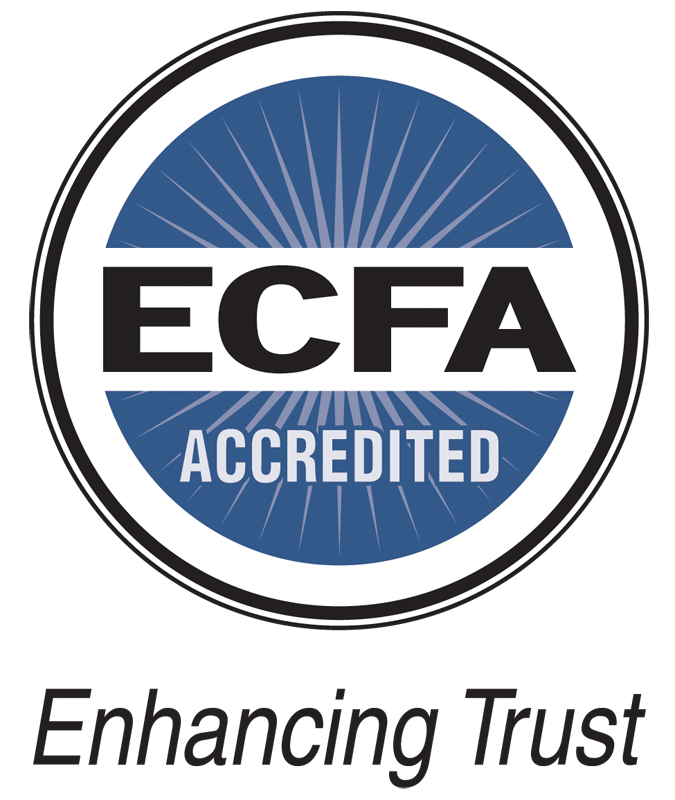 Dr. Emily wrote me not long ago sharing her thoughts on the faithfulness of God. She talked about how 20 years ago, God called her to be a doctor and equipped her with the brain and the will to do it. 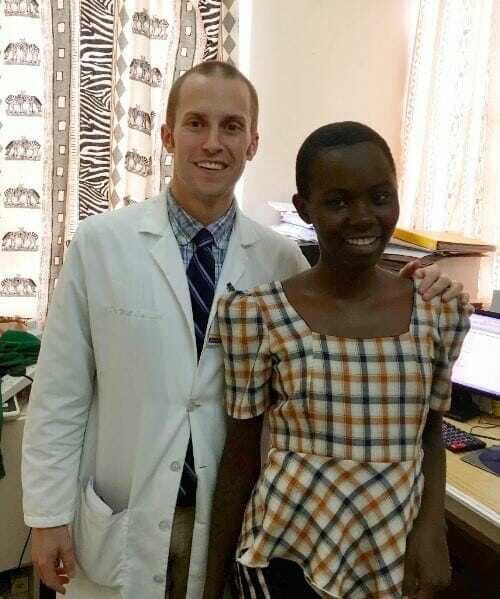 He called another young man into neurosurgery and gave him a heart to serve in Kenya. 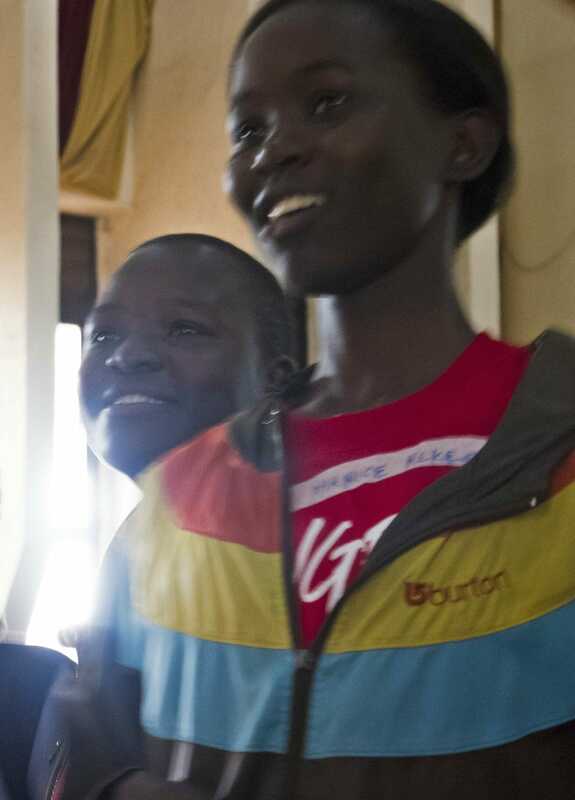 While putting all those pieces together, God created Ndoto and raised up a staff of caring and hard-working advocates for young people from the Obunga slum. God gave a precious baby girl to one of the most dedicated and loving fathers I have ever seen, and for 17 years no one knew she had been born with a brain defect. On a random Sunday in April 2018, the brain defect would rear its ugly head, and God smiled from heaven, knowing He had already assembled the perfect team.